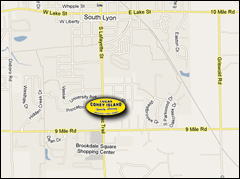 Welcome to Lucas Coney Island of South Lyon! Ordering? We make carry-outs easy! Call ahead and pick it up at the drive-through window for little or no wait time. Call us at (248) 491-0045. A Brief History: Toma and his wife, Teresa, are the proud, original owners of Lucas Coney Island Family Restaurants in Southeast Metro Detroit, and are proprietors of the South Lyon location along with their eldest son, Alex. Before opening the doors in March 2006, Tom owned and operated several other locations, including two in Detroit, one in Ypsilanti and one in Brighton. He brings to your table over 30 years of experience, a menu with a variety of food from which to feed your whole family, and a great and friendly staff. The prices are unbeatable and the food is always fresh. Monday through Friday, try our breakfast specials. *Prices do not apply Saturday, Sunday or holidays. Monday through Sunday, try the chef's lunch or dinner specials! They change daily, so stop in to learn what they are. Seniors get 10% off of full priced meals over $5.00. Lucas Coney Island © 2019. All Rights Reserved.